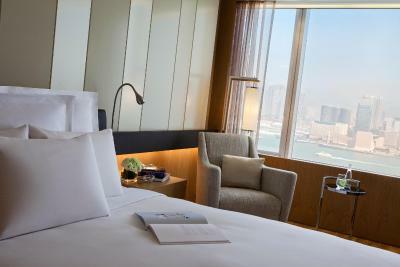 Lock in a great price for Renaissance Hong Kong Harbour View Hotel – rated 8.4 by recent guests! 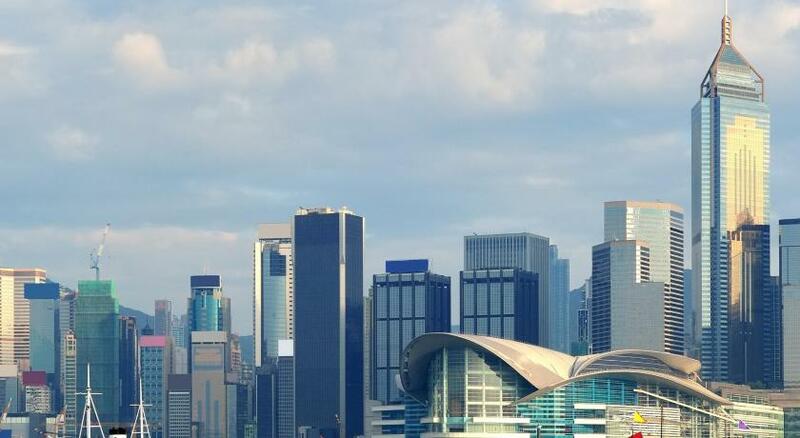 Location was great for the purpose of my travel, which was to attend Art Basel Hong Kong. The room was large and the breakfast was excellent. 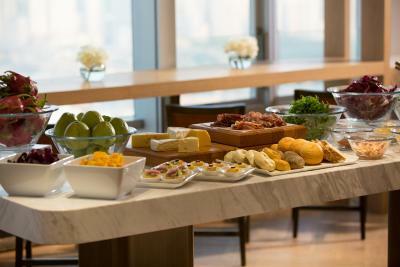 It was a buffet with many choices. The wifi is strong and there are many shops located within walking distance. Great there is a taxi line just for guests. The shower pressure was strong and the staff overall are quite efficient. Good breakfast, and good location. Restaurants were good with nice views, although a bit pricy. 2 min walkin from the convetion center. 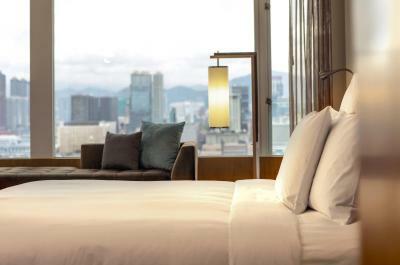 nice view on HK from sea view rooms. near the ferry and metro. very nice breakfast. Good ocean view. Bed was comfortable. TV channels are enough. The staff in particular were very helpful - even catering to special dietary considerations. We also managed to get late check-out which was great. staff: attitudes friendly, polite, helpful. Food selection was very good, western breakfast was excellent. Bar staff were efficient and pleasant . relaxing area. The view from our suite was spectacular. 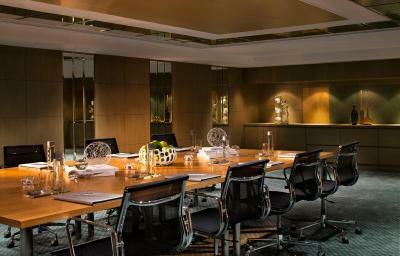 The club lounge was superb and the staff were very professional and helpful. The location and the view to the harbor. 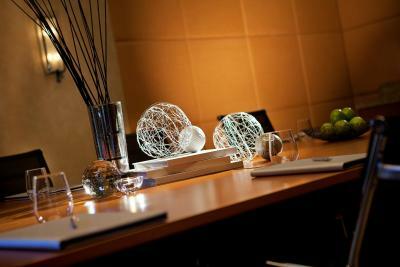 Very convenient for all the facilities available in and around the hotel. Great restaurants too! 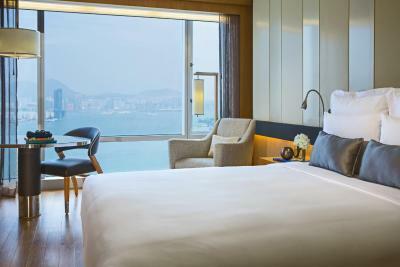 Renaissance Hong Kong Harbour View Hotel This rating is a reflection of how the property compares to the industry standard when it comes to price, facilities and services available. It's based on a self-evaluation by the property. Use this rating to help choose your stay! 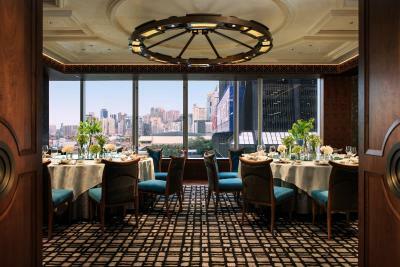 One of our top picks in Hong Kong.Featuring an award-winning restaurant overlooking Victoria Harbor, Renaissance Hong Kong Harbor View Hotel, a Marriott Luxury & Lifestyle Hotel in Hong Kong, is set on scenic Wanchai Waterfront. 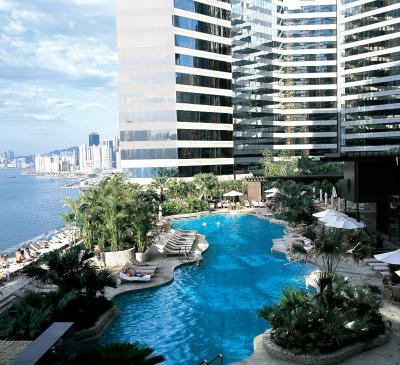 Directly connected to Hong Kong Convention and Exhibition Center, it offers a landscaped pool and fitness center. 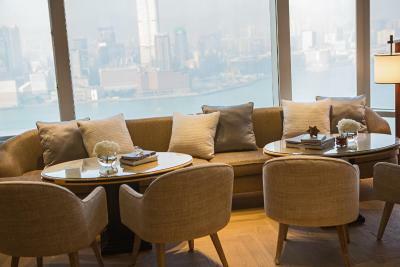 Renaissance Hong Kong Harbor View Hotel is a 5-minute drive from the city center and a 10-minute drive from the iconic Victoria Peak and lively Lan Kwai Fong. It is a 20-minute train ride from Temple Street. 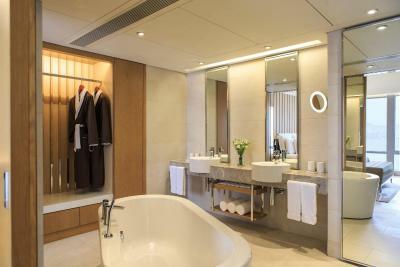 Renaissance Hong Kong Harbor View Hotel features stylish rooms with marble bathrooms for a touch of luxury. Guests have the convenience of cable TV, a safe and ironing facilities. A fitness center provides guests the chance to maintain their work outs, while a golf practice facility and putting green is available for golfers. 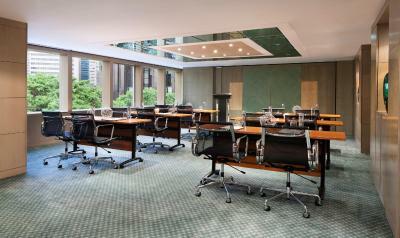 Staff can also attend to multiple business needs. 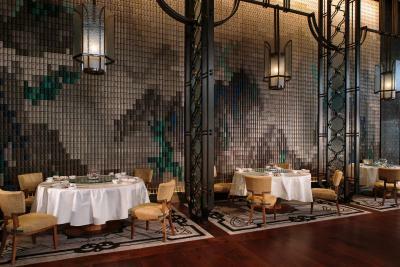 The award-winning Dynasty Restaurant serves classic Cantonese fare. All-day casual dining is available at Café Renaissance and Mirage Bar & Restaurant provides live entertainment in the evenings. 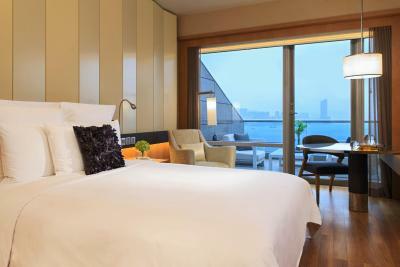 When would you like to stay at Renaissance Hong Kong Harbour View Hotel? 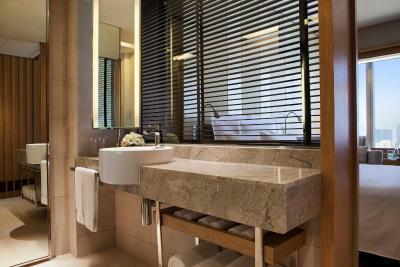 Offering a queen-sized bed or 2 single beds, room features views of the garden and swimming pool. Includes a 37-inch flat-screen TV with premium movie channels, an iPod deck, work desk, electric kettle, safe and mini-bar. 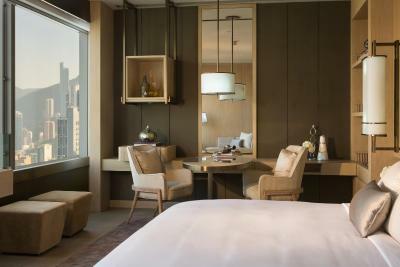 Marriott Rewards members are entitled to enjoy free internet access in the room. 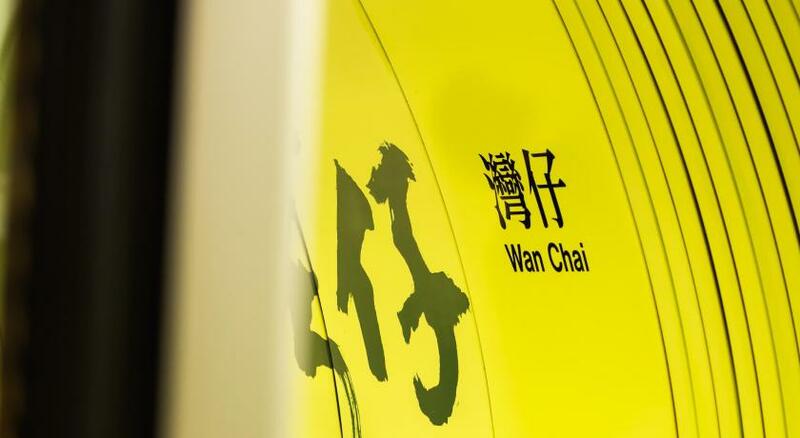 Private parking is available on site (reservation is needed) and costs HKD 500 per day. 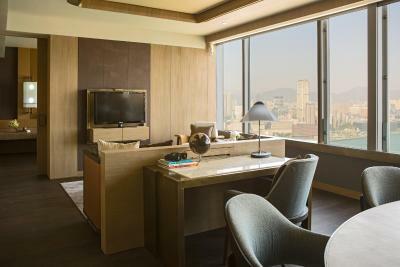 This room features panoramic views of Victoria Harbour. Includes a 37-inch flat-screen TV with premium movie channels, an iPod deck, a work desk, an electric teakettle, a safe and a minibar. Marriott Rewards members have free internet access in the room. 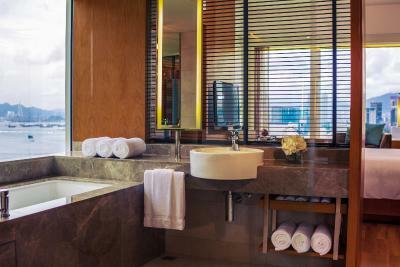 On the higher floors, these rooms feature views of the grounds and swimming pool and provide free access to the Club Lounge. Includes a 42-inch flat-screen TV with premium movie channels, an iPod deck, a work desk, an electric teakettle, a safe and a minibar. 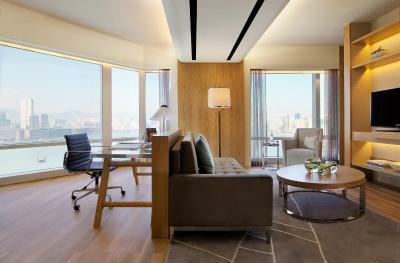 These rooms feature panoramic views of the Victoria Harbour and provide free access to the Club Lounge. Includes a 42-inch flat-screen TV with premium movie channels, an iPod deck, a work desk, an electric teakettle, a safe and a minibar. 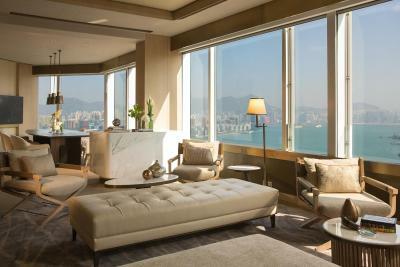 Spacious suite offers views of the Victoria Harbor and free access to the Club Lounge. Includes a 42-inch flat-screen TV with premium movie channels, an iPod deck, work desk, electric kettle, safe and mini-bar. 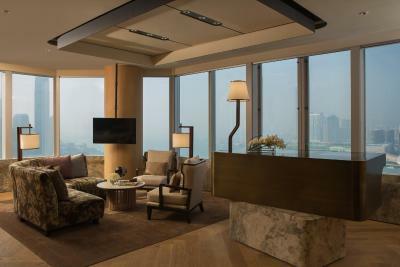 This suite features views of the Victoria Harbour, working and resting areas and free access to the Club Lounge. Includes a 42-inch flat-screen TV with premium movie channels, an iPod deck, a work desk, an electric teakettle, a safe and a minibar. 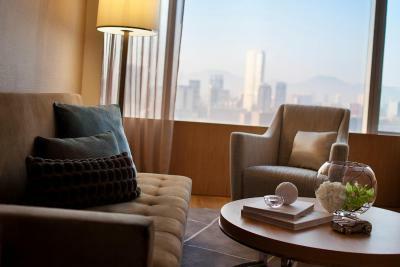 This spacious suite features views of the Victoria Harbour, a master bedroom, a sofa bed, a sitting area and free access to the Club Lounge. Includes a 42-inch flat-screen TV with premium movie channels, an iPod deck, a work desk, an electric teakettle, a safe and a minibar. - Daily breakfast, afternoon tea and evening cocktails. This room features patio Victoria Harbour view, and includes a 37-inch flat-screen TV with premium movie channels, an iPod deck, work desk, electric kettle, safe and minibar. This room features patio views of the grounds. It includes a 37-inch flat-screen TV with premium movie channels, an iPod deck, work desk, electric kettle, safe and minibar. 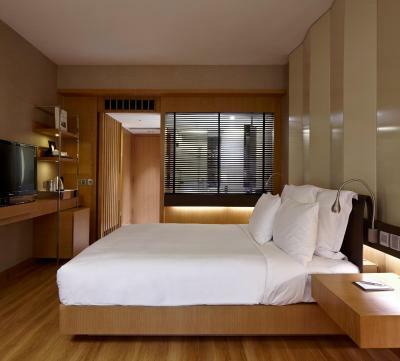 This twin/double room features a satellite TV, seating area and air conditioning. This twin/double room has a seating area, soundproofing and cable TV. Please be noted that Hotel voucher may not be redeemed for cash. No credit or change will be given on the unused amount of the voucher. Should the total spend be more than the value of the voucher, guests must pay for the differences. 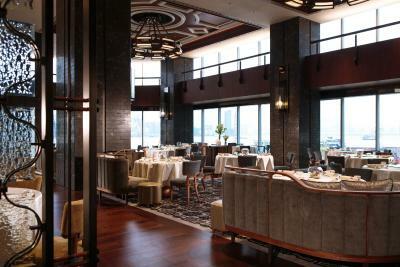 The award-winning Dynasty Restaurant serves classic Cantonese fare. All-day casual dining is available at Café Renaissance and Mirage Bar & Restaurant offers all-day dining with an indigenous touch and innovative cocktails designed by our in-house mixologist. Hotel surroundings – This neighborhood is a great choice for travelers interested in food, city walks and local food – Check location Great location - show map Guests loved walking around the neighborhood! 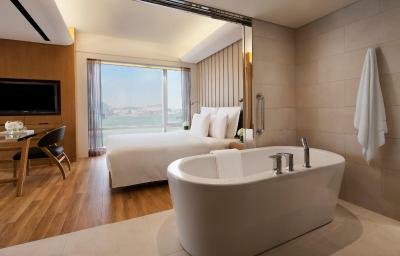 House Rules Renaissance Hong Kong Harbour View Hotel takes special requests – add in the next step! 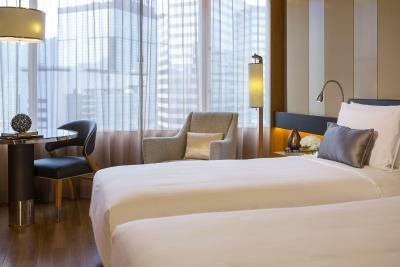 One older child or adult is charged HKD 155 per night in an extra bed. 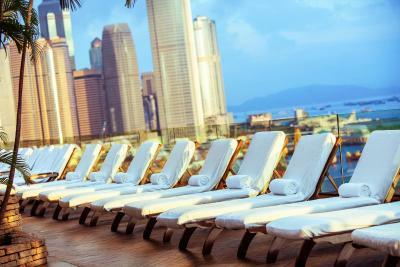 Renaissance Hong Kong Harbour View Hotel accepts these cards and reserves the right to temporarily hold an amount prior to arrival. For nonrefundable bookings, please present the same credit card used for booking upon check-in and payment at the hotel. The Express Bar is not Express and food was frozen and bad. Great View on the Harbour from 28th floor. Great room, contemporary, elegant and comfortable. This is the best location for the conference center. Extra bed is not comfortable. 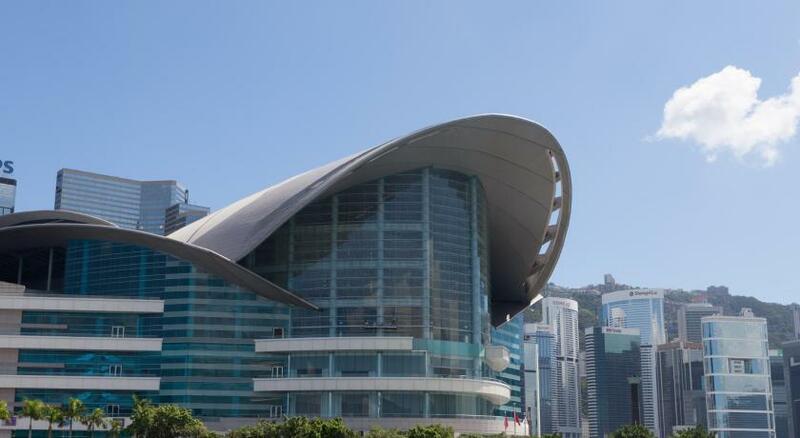 It's really convenient to go to HKCEC. The couch in my room had MANY stains on it so I had no desire to sit on it. The bathroom is located right at the entrance of the room so you have to almost walk through the bathroom to get to the room, which is a bit strange. The room's A/C wasn't that strong so there was a damp feeling to the bed. The hairdryer provided was quite weak and the shampoo and conditioner was also not great quality. The cost of the room was very high considering the quality of the hotel. I understand it was a busy week, but it was still very expensive compared to other hotels. No really value for money and after having booked 5 rooms for almost a week I was not granted a late check out. It’s good if you go to convention Centre, that’s the most important bonus. The rest is average. Restaurant waiter did not do a good job for recommendation of disshes, espacially about the quantities of the selected dishes. Failure to provide prodper guadence. The heating system is useless, you can't close the system, it is impossible, so I catch cold. 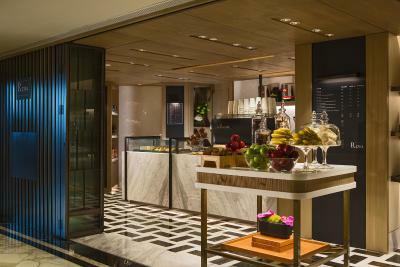 Breakfast time can be extended until 10 30.Menu is some weak in the lobby bar restaurant on lunch time. I liked other all things. Windows are poorly sound insulated. Check in and out very quick.